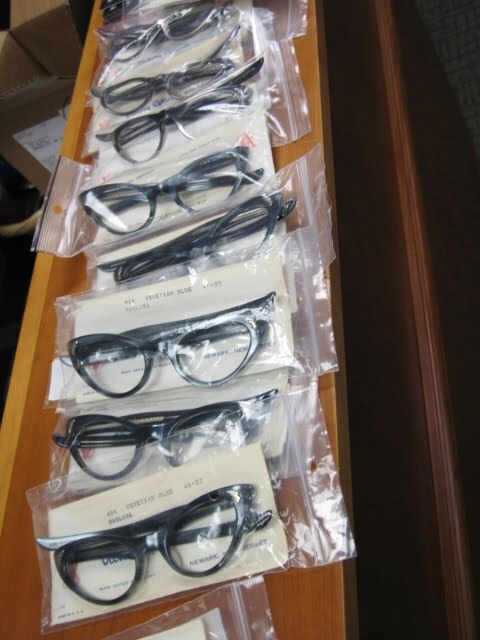 A few days ago, I stumbled across an optician's office chock- full of vintage and retro dead stock glasses frames and sunglasses. Total score! He had close to 1,000 frames from the early 1950s to the early 1990s, many in perfect condition. Once my heart stopped pounding, I dug through and made some purchases which are currently previewing on my Facebook page. 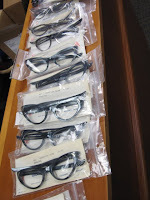 Next, I contacted my pal CollectableSpectacle, a fellow Vintage Market Team member. She was very excited so we agreed to rendezvous the following morning. 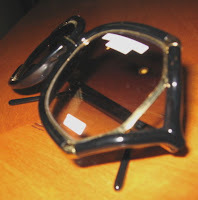 "Victory" cat-eye frames, with original paperwork! Are my cheekbones too high or are these frames too big? 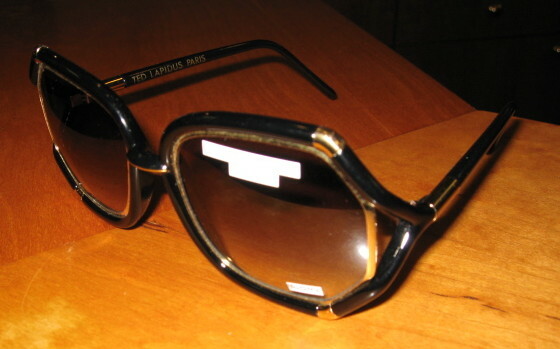 Late 1970s Ted Lapidus sunglasses with gold inner frames- very Tom Ford- esque, no? Did I mention my birthday is only a month away? Another view, just because. Very subtle, I know. 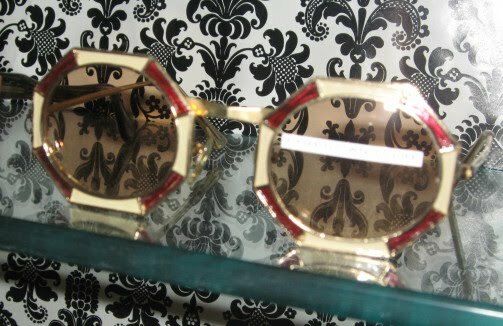 Dead stock early 1950s 12 K gold plated Christian Dior sunglasses with enamel. Sadly, not for sale, just for drooling. Enamel is shockingly absorbent. Same era, but with AB stones AND enamel. Yowza! 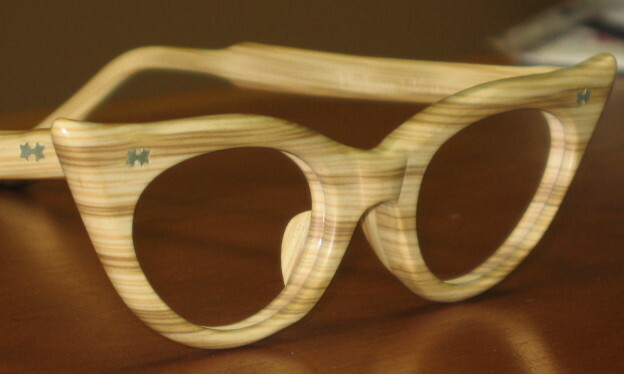 Don't worry, these wood effect cat-eyes are coming to CollectableSpectacle very soon! 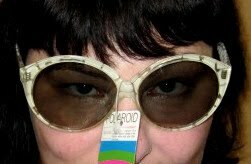 Let's agree to disagree with the witty and wise Dorothy Parker just this once- Guys will make passes at girls in these glasses. What a score!! It is a feeling that is hard to express when you find something so fabulous! It is the fuel that feeds the search! Had a great time! Such a great score I went back for more! I def. can agree to disagree with Dorothy Parker. These glasses are hot! The pair you got are great and look great on you. 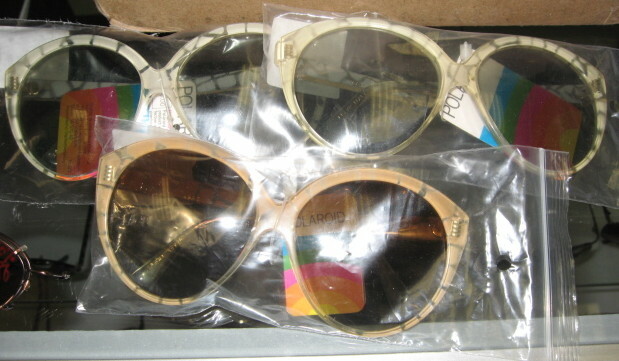 I KNOW that Gwen and I cleaned them out but the thrifter in me wants to go back again. And again.